Canon ‘refreshed’ the ever-so-popular 70-200mm f/2.8 lens from a ‘II’ to a ‘III’ with new optical coatings and paint, but no major changes. While the price is higher than the current II, it actually is the same price as the II was sold at for most of its life. A meh moment for almost everyone except those who scooped up the ‘II’ at reduced prices. I did wonder if perhaps there might be a bit more under the hood than what Canon had announced. These are arguably the most popular lenses Lensrentals.com stocks; hundreds of copies with constant turnover. Since we do in-house repairs, over the years we’ve noticed some minor upgrades that have taken place; an internal ring and some gears have changed, etc. Internally, the 70-200mm f/2.8 is also one of the ugliest bits of engineering in the Canon fleet. We can understand why it had to be that way; it’s an incredibly complex lens. But we figure this bothered Canon’s optomechanical engineers as much as it did us, so maybe they snuck some changes in. LensRentals has the Canon EF 70-200mm f/2.8L IS III USM Lens for rent or you can pick up the lens at B&H with free expedited shipping. 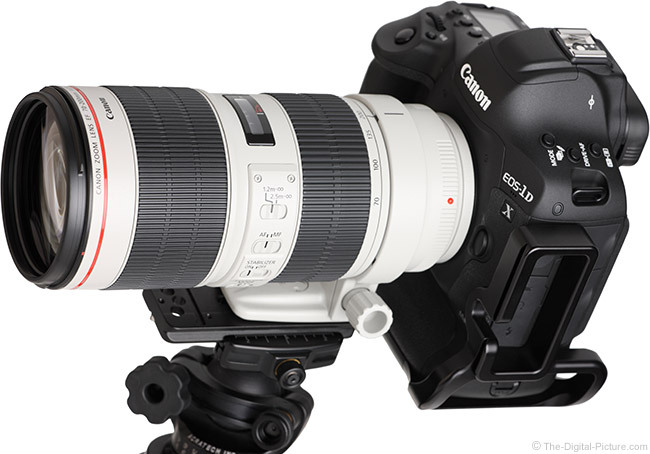 You can also snag the very similar Canon EF 70-200mm f/2.8L IS II USM Lens with a nice instant rebate right now. Tamron SP 15-30mm F/2.8 Di VC USD G2 vs. G1: What are the Differences? 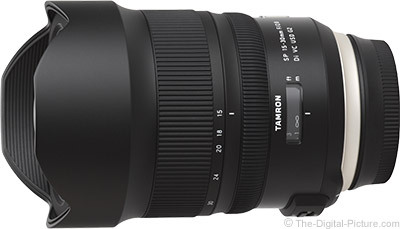 Tamron's recently released SP 15-30mm f/2.8 Di VC USD G2 press release is, quite frankly, painful to read. It looks like Tamron outsourced its marketing for the lens to the LensRentals' Random Photo Marketing Generator. This is a true advance that will inspire your craft and create new opportunities in your imaging world. Now you can possess a single wide-angle lens that coaxes you to seize images that are both extraordinary and impressive. Its performance is unquestioned with regards to tonal depth yet it provides astounding flare control. Like all of our products, this lens incorporates our extensive expertise. This lens provides a classic focal length, offering a unique opportunity to enhance your natural creativity. We have created a galvanizing new benchmark in photography that will dramatically improve your images. This is a new breakthrough that will revolutionize your craft and create new opportunities in your imaging world. Like all of our products, this lens is in a class of its own. We have combined intuitive control with unsurpassed technology to provide you a singular experience. Catch an instant and make it your revenue photoGenerator forever. Using advanced technology including multiple floating elements and the industry’s most accurate autofocus system, this lens can take your imaging to new achievements. Discover detail that you never saw was around you. Whatever the subject matter, in any working condition, in all lighting conditions, this lens offers amazing definition while maintaining excellent vignetting control. Designed for the connoisseur, it offers the finest craftsmanship most only wish for, at a price that most can’t afford. Capture images in a way you’ve always wished you could. 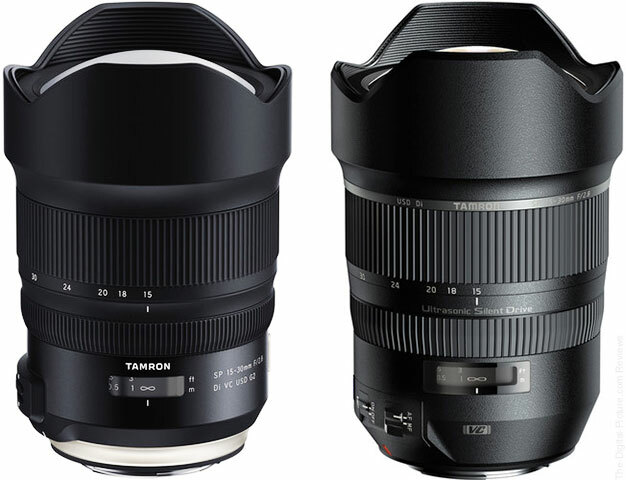 The funny thing is, Tamron doesn't mention in their own press release that the G2 model features the exact same optical formula as its predecessor. Want proof? Check out the optical formula diagrams taken from Tamron USA's product pages. As usual, the improvements listed above come at a cost; the G2 version's MSRP is $100.00 more than the original one's and the price difference is even larger considering the current $100.00 instant savings on the G1 model. Check out our Tamron 15-30mm f/2.8 Di VC USD Lens Review for more information on the G2's predecessor. Permalink: Tamron SP 15-30mm F/2.8 Di VC USD G2 vs. G1: What are the Differences? August 31, 2018, Commack, New York - Tamron announces the launch of a new high-speed ultra-wide-angle zoom lens, the SP 15-30mm F/2.8 Di VC USD G2 (Model A041), for full-frame DSLR cameras. The new model will be available in Nikon mount on September 21st and in Canon mount October 12th at a suggested retail price of $1299. B&H has the DJI Mavic 2 Zoom in stock with free expedited shipping. Just posted: Sigma 105mm f/1.4 DG HSM Art Lens Review. It is what we've come to expect from the Sigma Art series: an excellent lens. The Sigma 105mm f/1.4 DG HSM Art Lens is in stock at B&H | Amazon | Adorama | WEX. Rent the Sigma 105mm f/1.4 DG HSM Art Lens from Lensrentals. It seems most retailers received enough units to fill preorders, so any orders placed now should ship out very soon. Photolemur 3.0 is possibly the greatest time-saver in the history of photo editing! MELVILLE, NY – Today, Nikon unveiled the new Nikon D3500, a compact, entry-level DSLR that makes capturing the world easier and more convenient than ever. The 24.2-megapixel D3500 features an updated CMOS image sensor and Nikon EXPEED image processor to capture sharp details and vivid colors, and is packed with easy-to-use features that help first-time DSLR users start capturing better photos and video right away. 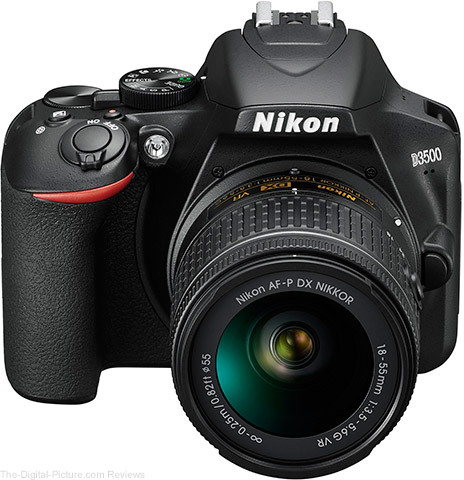 With its ergonomic and lightweight body, approximately 1,550 shots on a single charge and convenient features like Nikon SnapBridge and helpful Guide Mode, the Nikon D3500 is a great option for parents, travelers and photo enthusiasts who are eager to take their photography to the next level. Sharing photos with the ones you love is easier than ever with the Nikon D3500 and Nikon SnapBridge app. The D3500 uses Bluetooth to create an always-on connection between the camera and a compatible smart device, making it possible to seamlessly share 2MP images to social media as they are captured. Additionally, D3500 users will now be able to trigger their camera remotely via Bluetooth using SnapBridge. Nikon SnapBridge users can also access Nikon Image Space, a free online image sharing and storage service that preserves memories in the cloud. The Nikon D3500 will be available in a two-lens kit option, including the AF-P DX NIKKOR 18-55mm f/3.5-5.6G VR and AF-P DX NIKKOR 70-300mm f/4.5-6.3G ED, for a suggested retail price (SRP) of $849.95 in September 2018. A Nikon D3500 single-lens kit with the AF-P DX NIKKOR 18-55mm f/3.5-5.6G VR will also be available for (SRP) of $499.95 in September 2018. In this video, Nikon Optical Engineer and Technical Liaison Atsushi Suzuki explains the merits of the new mirrorless Z-mount. Preorder the new Nikon mirrorless cameras and lenses here. Sony’s new “SF-G series TOUGH specification” UHS-II SD cards are designed to keep images safe in any shooting environment, combining the world’s fastest read and write speeds with an ultra-rugged design that is bend-proof, drop-proof to 5 meters, water-proof and dust-proof. The new cards are 18 times stronger than SD standard (180N compared to 10N rating) to guard against bending and dropping, and use the world’s first monolithic structure with a completely sealed one-piece molding that leaves no empty space in the card and prevents dust or debris from entering. The TOUGH spec. series uses materials of high-grade hardness, unlike conventional SD which uses a thin, 3-part ensemble. They are protected against typical physical damage that can affect conventional SD cards such as a broken plastic casing, broken data protection lock and broken connector ribs. For photographers fighting the elements to get the perfect shot, the TOUGH spec. SD cards are also waterproof with an IPX8 rating and dustproof with an IP6X rating. As the world’s first ribless SD card with no write protection switch, the new cards’ design ensures that easy-to-break parts are removed entirely. Continuing an industry trend driven by Sony, full-frame mirrorless cameras such as the a9 and a7 series are packing more and more performance into stills and video performance. These high-end cameras rely on fast memory cards to maximize their performance and with professional photographers now using SD cards more frequently, users are demanding higher levels of reliability and durability associated with other professional card types. With the world’s fastest write speed of up to 299MB/s, buffer clearing time is minimized, allowing photographers to shoot at the highest burst speeds. The TOUGH spec. SD cards also support V90, the highest standard of video speed class, making it an ideal companion for shooting high-resolution video. Transferring high-capacity photo and video files is made simple with the TOUGH spec. cards, thanks to a read speed of up to 300MB/s, another world’s fastest, which dramatically streamlines the post-shooting workflow. Addressing the practical needs of photographers, the SF-G series TOUGH specification range feature a bright yellow banding design, making the card easier to spot in dark shooting conditions. The TOUGH spec. series SD cards include a SD Scan Utility, allowing the user to check that the card is in good condition and File Rescue Software to recover accidentally deleted data and photos. The new cards are also X-ray proof, magnet proof, anti-static, temperature proof and feature UV Guard. B&H carries Sony SDXC memory cards. Today, we show you how to easily color match in Photoshop to create realistic composites. Nothing beats manual color work, but in some cases this automatic trick can make matching colors simpler than ever. Update: Adobe has clarified its statement below. Most Creative Cloud applications receiving updates in the next major release will still support Windows 7. It is only Adobe video and audio tools that aren’t supporting Windows 7 – Lightroom and Photoshop will still support [Windows 7]. If you’re running Windows 8.1, Windows 10 v1511 and v1607 or Mac OS 10.11 (El Capitan), you can continue to run and install current and previous versions of Creative Cloud applications. However, you will not be able to install or run the next major release of Creative Cloud unless you’re on a supported version of Windows or MacOS. Creative Cloud Desktop, which manages application installs, will continue to be supported on Windows 7 or later and Mac OS X v10.9 or later. Focusing our efforts on more modern versions of Windows and Mac operating systems allows us to concentrate on developing the features and functionality most requested by members, while ensuring peak performance that takes advantage of modern hardware. Visit this site for detailed information on current Creative Cloud app system requirements. Santa Rosa, Calif. – When Think Tank Photo first released the Retrospective shoulder bag series, they took the photo industry by storm. Think Tank has now upped the ante with the Retrospective V2.0. While retaining the soft, form-fitting design, they are lighter than the original. For greater security, the Retrospective shoulder bags now feature a zippered opening under the main flap that tucks away when not in use. Each bag has a dedicated interior tablet or laptop pocket, luggage handle pass-through, and a compressible water bottle pocket. Think Tank also improved its innovative “Sound Silencer” closure, allowing photographers to work more quietly. Retrospective 5 V2.0 – Fits a standard DSLR or Mirrorless body with a 17–40mm f/4 lens attached and a 9” tablet. Examples include a Canon 5DMIV with a 50mm f/1.8 attached, 24–70mm f/2.8, and an iPad Mini; or a Sony a7RIII with a 24–70mm f/4 attached, 16–35mm f/4, 55mm f/1.8, and an iPad Mini. Retrospective 7 V2.0 – Fits a standard DSLR with a 24–70mm f/2.8 attached, 70–200mm f/2.8 unattached, flash, 10” tablet, and a 13” laptop. Examples include a Nikon D850 with 24–70mm f/2.8 attached, 70–200mm f/2.8, and a SB-5000 AFSpeedlight; or a DJI Mavic Pro drone, controller, batteries and accessories. Retrospective 10 V2.0 – Fits a gripped DSLR with a 24–70mm f/2.8 attached, 10” tablet, 12” laptop, 70–200mm f/2.8 unattached, and a flash. Examples include a Nikon D5 with a 24–70mm f/2.8 attached, 70–200mm f/2.8 unattached, and a SB-5000 AFSpeedlight. Retrospective 20 V2.0 – Holds a gripped DSLR with 70–200mm f/2.8 attached or a 300mm f/2.8 unattached, 24–70mm f/2.8, 10” tablet, 12” laptop, and a flash. Examples include a Nikon D5 with a 70–200mm f/2.8 attached, 14–24mm f/2.8, 50mm f/1.8, and a SB-5000 AFSpeedlight. Retrospective 30 V2.0 – Fits two gripped DSLRs with a 24–70mm f/2.8 and 16–35mm f/2.8 attached, 70–200mm f/2.8 unattached, and a 15” laptop. Examples include two Nikon D5 bodies with a 24–70mm f/2.8 and 14–24mm f/2.8 attached, 70–200mm f/2.8 unattached, and an iPad. 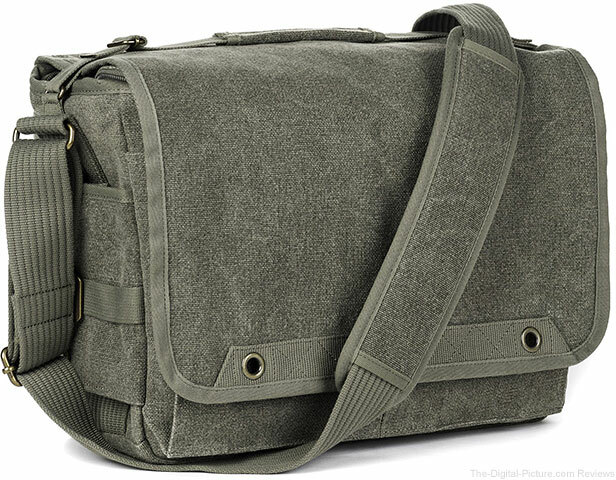 Think Tank Photo has the new Retrospective v2.0 shoulder bags in stock. Use the link above for Think Tank Photo and you'll get a free gift with your purchase ($50.00 minimum purchase required). 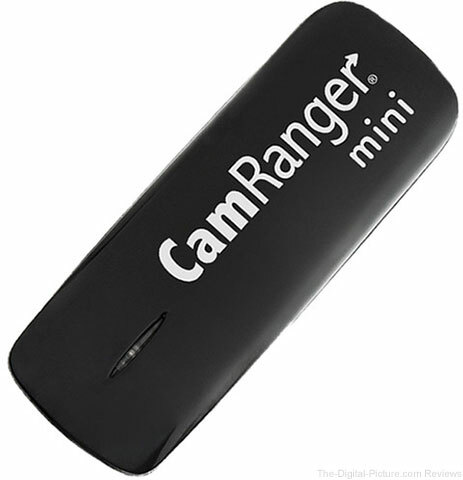 B&H has the CamRanger Mini in stock with free expedited shipping. Most higher-end image editing programs now feature automated panorama stitching, but if you don't rotate the lens on its nodal point while capturing the individual images for your spherical panorama, even the best image editing programs will find it challenging to stitch all of the images perfectly. Instead, portions of the stitched areas don't precisely line up, a result of parallax errors. Rotating the lens on its nodal point allows you to avoid those parallax errors, ultimately leading to a better panoramic image. But how do you find the nodal point for your lens? The solution is probably easier than you think. Yesterday I determined the nodal points for eight lenses (one at two different focal lengths) using my pano rig. 1. Set up your camera along with aligned subjects. 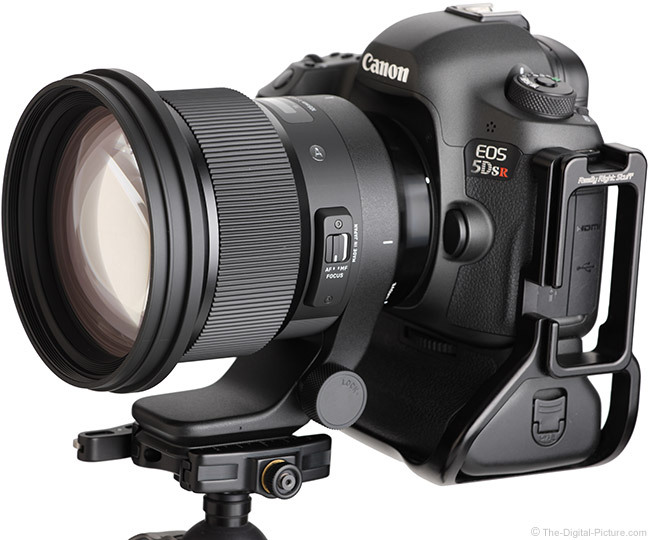 Set up your tripod-mounted pano rig so that it is level and pointed at two objects that are perfectly lined up in the center of your viewfinder/frame using Live View at max magnification. For me, that was two light stands set up in my studio about 6' (1.83m) apart. The farthest light stand was extended just a little bit higher than the closest light stand to make aligning the two subjects easier. 2. Rotate the camera left or right and move the camera forward/backward to create an identical view. Move your magnified live view frame all the way to the left or right, then rotate the camera so that the front object is within the magnified view. Now, move the camera forward or backward using the nodal rail until the two objects are lined up just as they had been in the center of the frame view. Record the position of the nodal rail in your clamp, such as "Clamp centered on 49mm rail mark," the lens being used and (if using a zoom lens) the focal length setting of the lens. If using a zoom lens for your panos, you'll need to determine the nodal points for all focal lengths you intend on using for your panos. Typically speaking, I usually calculate the nodal points for the shortest and longest focal lengths of a zoom lens. I find it handy to record the measurements in a cloud-based document so that they can be accessed from any location where data services can be accessed. Also, keep in mind that your nodal point calculations may be different depending on whether your camera is in portrait orientation or landscape orientation. Typically, you'll want to orient your camera vertically to maximize your panorama's resolution. However, if shooting horizontally, the plates in your L-brackets may be offset from one another. For 5D Mark III L-bracket, the offset is 15.5mm, meaning I have to subtract 15.5mm from my vertical orientation measurement to get the landscape oriented one. If planning to travel to remote areas to capture panoramic images, storing the nodal point measurement values locally on your smartphone in a notepad app (or alternately in a traditional paper notepad) would be best. My particular pano rig consists of a bidirectional clamp and a multi-purpose rail. Instead of moving the rail in the tripod's head, I move the bidirectional clamp that's connected to the camera. Therefore, I have to ensure that the rail is clamped into the index rotator's clamp at the exact same position each time if I ever entirely break down the setup. While that sounds a bit complicated, it's not in practice. I just make sure the first measurement mark on the rail is lined up with the front edge of the index rotator clamp, and all is well. After calculating the nodal points for several of my lenses, I got the itch to create another 360-degree panorama. After a short time thinking about the possible locations to photograph, as you can see from above, our renovated second bedroom was the subject I chose. To capture the image, I used a Canon EOS 5D Mark III and Rokinon 14mm f/2.8 lens a 3-shot exposure bracket at each 20° interval. I then combined the exposure brackets in Lightroom (using identical settings for each HDR blend) and compiled the panoramic image with Hugin. Want to step into our nursery? Download and install FSPViewer and open this high-resolution version of the image above in the app for a cool virtual experience.